A new behind-the-scenes video of Terminator 6 has released, and besides promoting Hungarian tourism with the production’s shoot in Hungary, a new video reveals the new look for Arnold Schwarzenegger in the film. As we notice in some footages included in the production video, the actor will be taking the look of an ageing man, with a beard and goatee combo, and outfits that make him look like some military figure. One interview shot even suggests more of the military angle, but there’s another shot that raises many questions. At :20 seconds, there’s a scene where we see Schwarzenegger’s character sitting out back it what is presumably his house. He’s having a beer with whom looks to be Linda Hamilton Sarah Connor. The detail one should notice is that Schwarzenegger’s character has a dog, which is sort of a big deal, given the history of Terminator series. -Schwarzenegger is playing a human character in the film. -Schwarzenegger is playing a Terminator who is either advanced enough to escape detection by dogs, or has been amongst humanity long enough to have “become human” enough to even befriend a dog. -The dog ain’t part of the film, just a beloved pet getting some attention in between takes. -It’s all a dream or fantasy sequence – which have happened consistently in the franchise. Given the history, option #2 seems the best. Terminator: Genisys scratched an interesting surface of what decades being around humans or protecting one would do to Schwarzenegger’s T-800. So could this new film by Deadpool director be pushing this film forward? Genisys wasn’t the only film in the series to explore what “humanising” a Terminator meant about the nature and idea of the family. 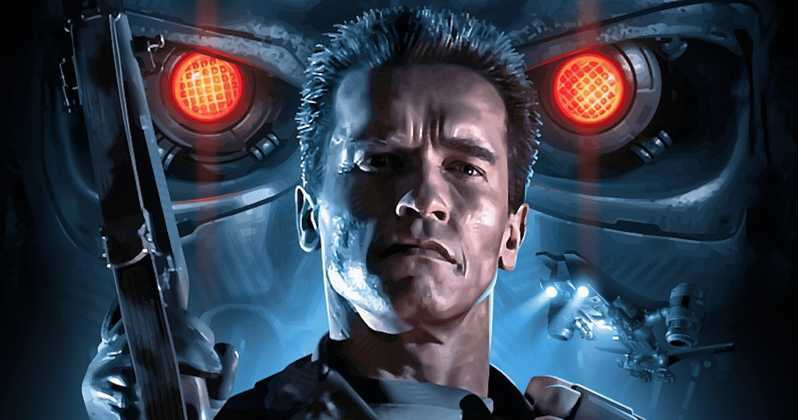 It was a major theme of T2, with Schwarzenegger’s Terminator becoming a surrogate father to John. Connor. Terminator 6 hits the theaters on November 1.